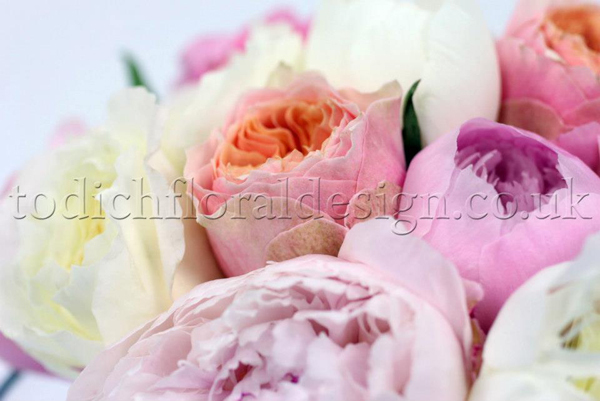 Todich Floral Design are thriving with the flow of this years weddings, Every wedding arranged has been unique to the bride and we have loved the individuality that the flowers create for the couples special day. 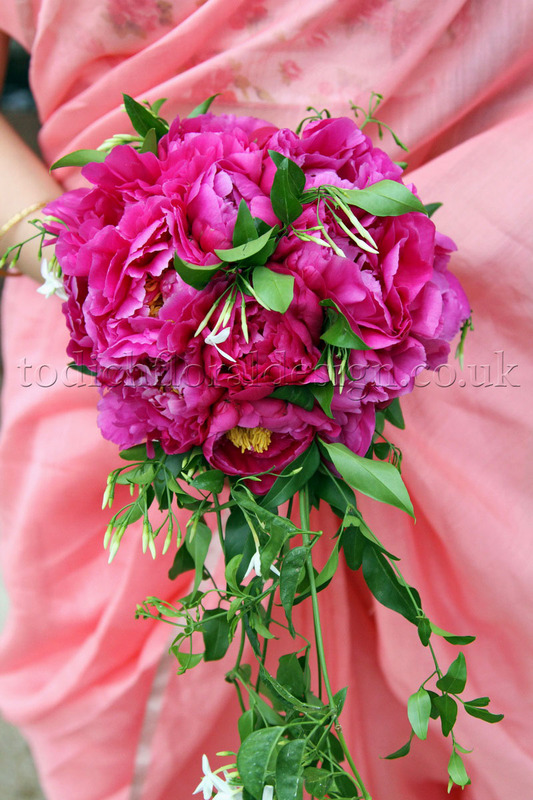 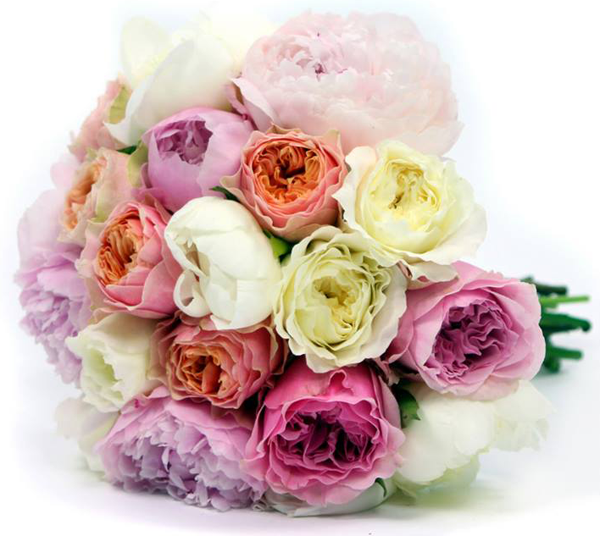 Recently our wedding consultants were contacted by a blushing bride to be who was getting married at Kensington Roof Gardens, in London on June 30th 2012. 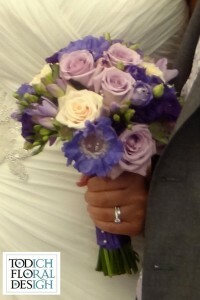 The bride met with our consultant on a couple of consultations and she stated that her favourite colours were lilacs, purples and creams and she wished for us to include her favourite flower Scabiosa within the bouquets. 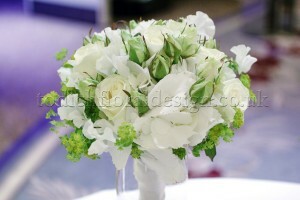 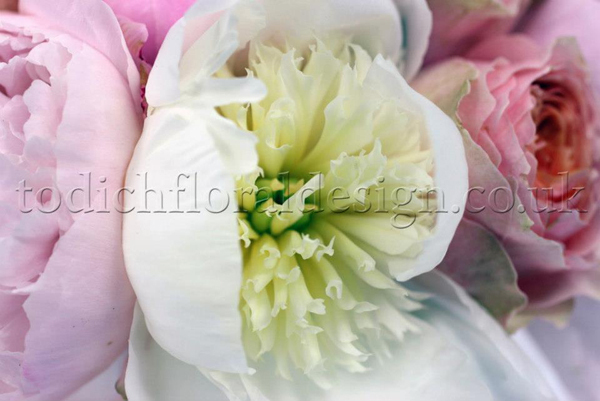 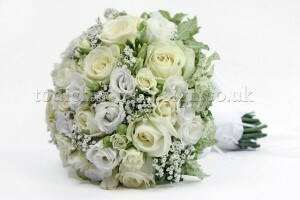 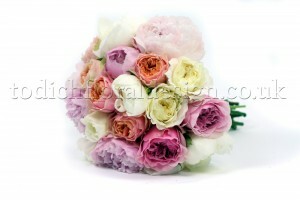 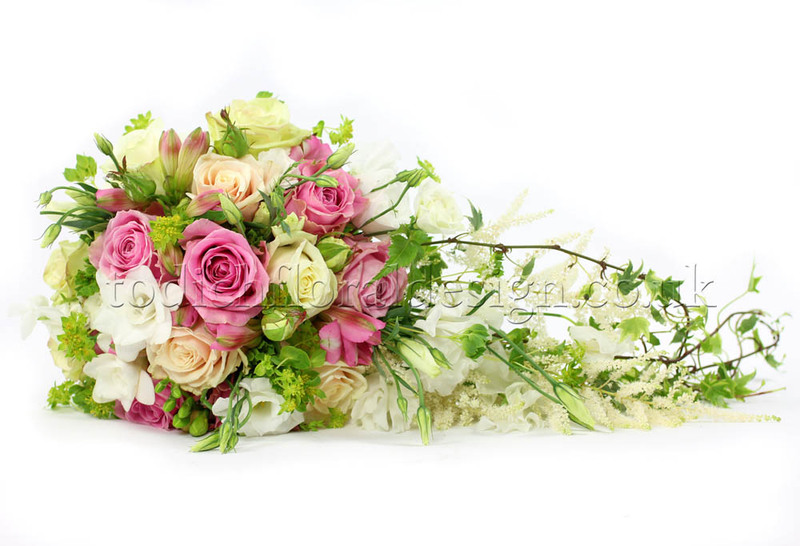 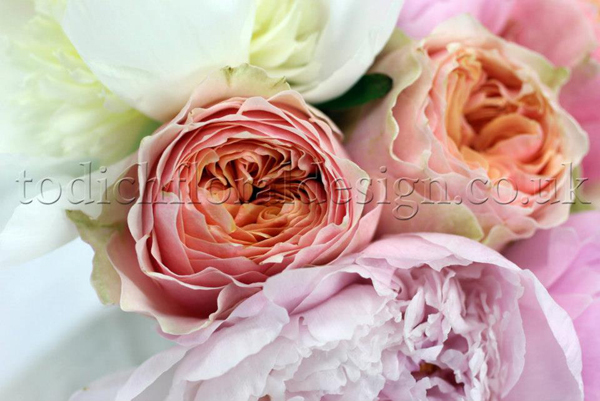 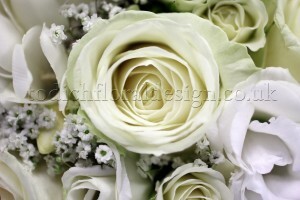 The bride wanted simple, classic designs and especially loved pretty spring flowers. 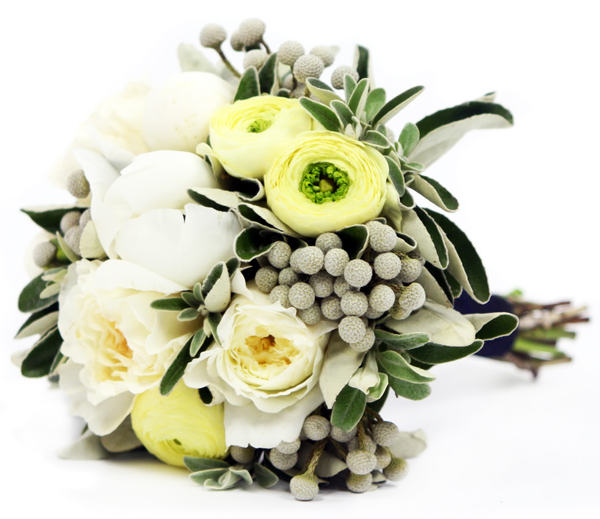 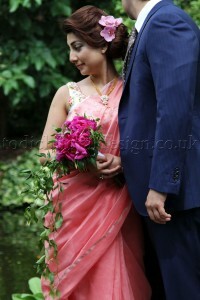 Her bridal bouquet included seasonal spring flowers that incorporated her colour scheme. Cream & lilac roses, scented purple freesias, purple lisianthus and scabiosa were mixed to create a stunning bridal bouquet; the arrangement was then finished with purple ribbon and pearl pins which matched identically to the pearls on her shoes. 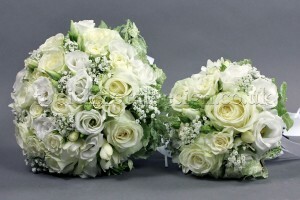 The bridesmaid’s bouquets were a much small versions of the bridal bouquet; the arrangements looked stunning up against the bridesmaid’s dresses. The buttonholes, grooms boutonniere, and corsages all incorporated the same colour scheme, single white roses, and a single scented purple freesia were tied together to make the beautiful delicate wedding arrangements. 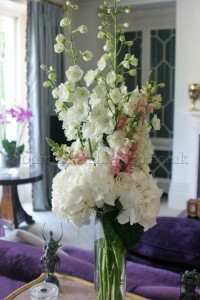 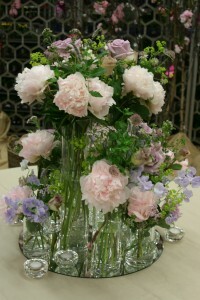 The registry table display included a large glass vase of staggered gladioli; the flowers were in three different shades of purple and lilac and stood amongst clear gel balls which sat at the base of the vase. 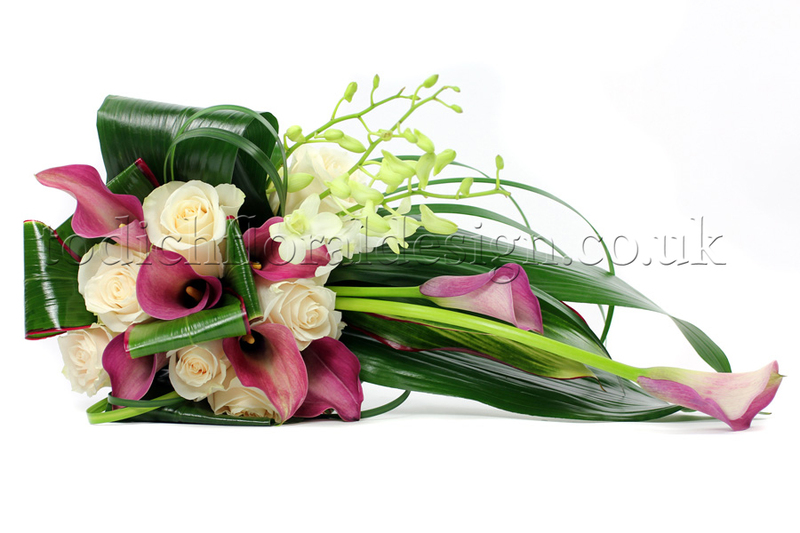 The table designs were simple and contemporary; there were 8 arrangements that contained different colour calla lilies that swirled around the inside of the glass fish bowl vases. The calla lily colours mixed from lilac, purple, lavender and white. The bride also requested that we decorate her cake with flowers, we created small clusters of mini flower arrangements that were to be displayed all over the cake. 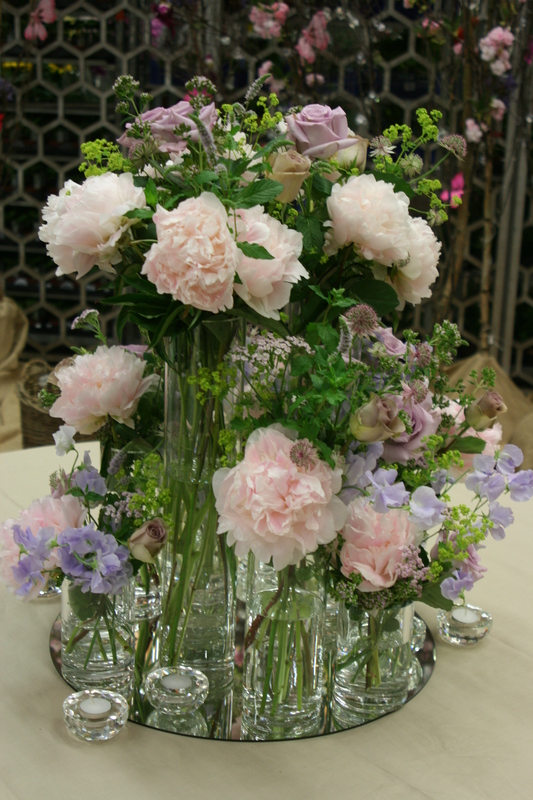 We believe the use of purple flowers finished the final look of the wedding venue. 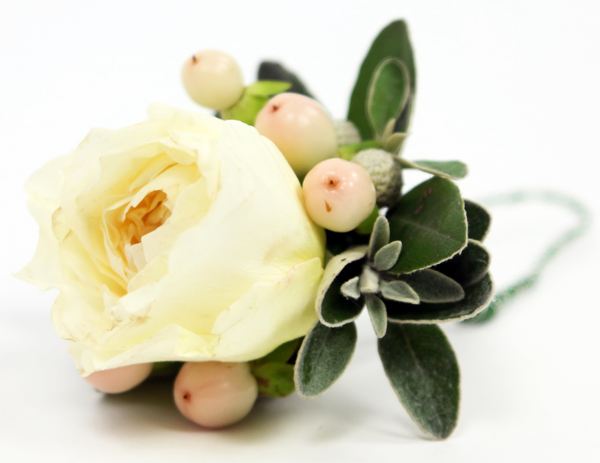 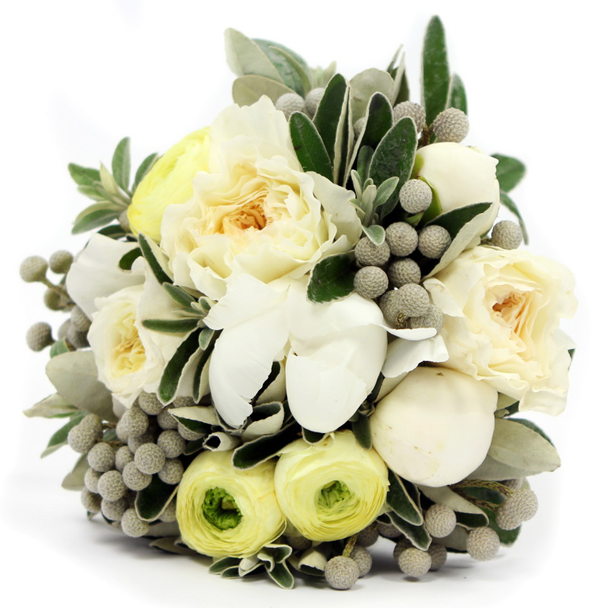 If you would like us to provide flowers for yourself or fan upcoming wedding then please do not hesitate to get in touch, we would be happy to book a free consultation with you and talk you through any ideas that you have in mind. 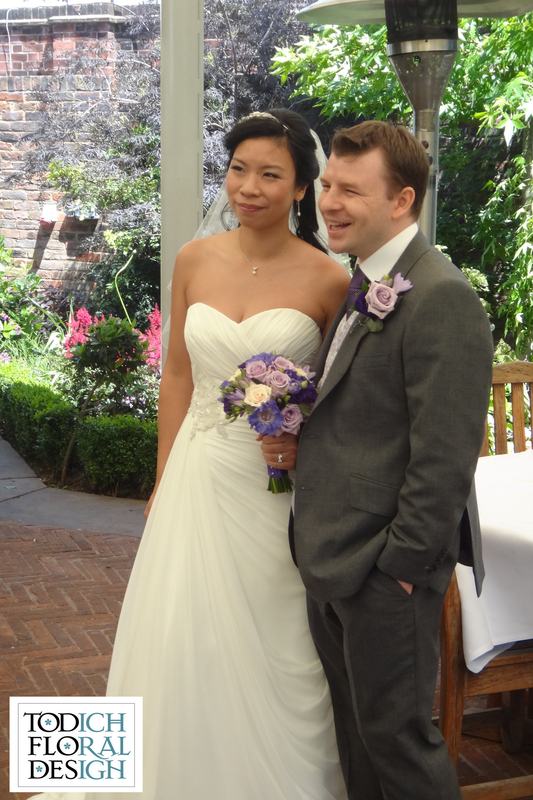 ‘We are back from our minimoon and I wanted to email to say a massive thank you for the amazing wedding flowers on our special day. 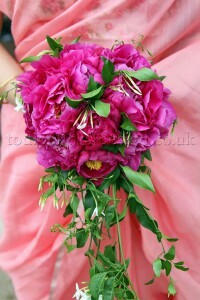 The flowers looked amazing! I loved my bridal bouquet especially, I remember looking at my bouquet and thinking how beautifully you had put it together, I really liked how it looked. 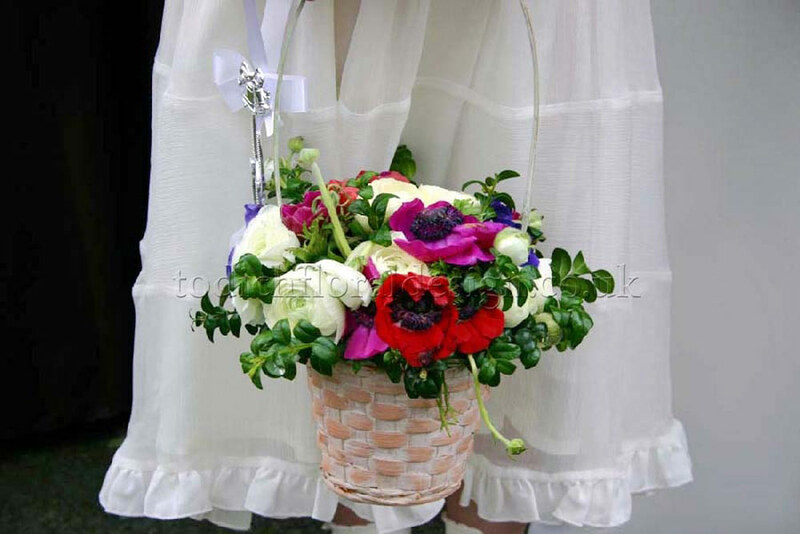 – thank you so much.